Beware of search engine optimization companies offering to submit your site to thousands of search engines or promising a number one ranking in Google or Yahoo!. We get this junk email every day and it is nothing more than Spam con-artists selling snake oil. There are no magic tricks that will get you listed number one in the general results of Google or Yahoo. If you don’t believe us, read what Google has to say about these companies in this article by Google. Employing dirty tactics to get your web site listed can actually get your web site banned from Google. 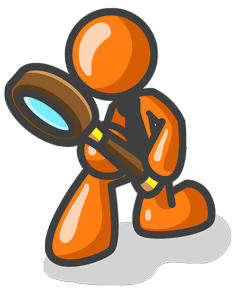 We have built a free tool to show you how search engines view a web page. Check out our Search Engine Visualizer tool. It is a simple tool showing you how a web page looks without any images or formatting. The way a search engine robot would crawl your page and read it. We use the search engine visualizer to show a client how their website looks to a search engine robot so that they understand the concept of a page with no images and layout. A huge part of SEO is organizing your web page content in a text hierarchy that is search engine friendly.